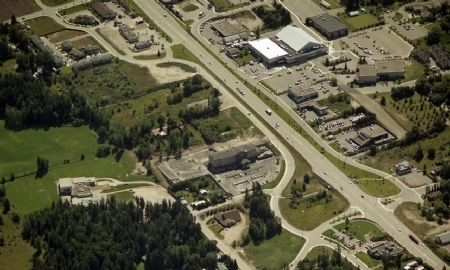 Aerial view of the interchange at Tank Hill, Salmon Arm. 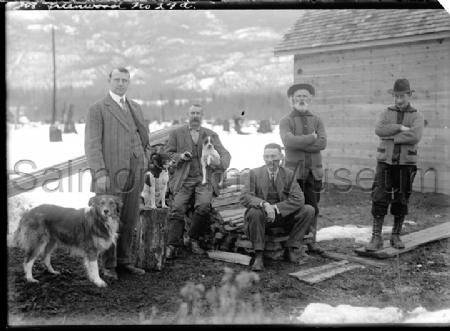 Mr. Joe Greenwood (seated, holding dog and pipe) posing outside with four friends and three dogs. 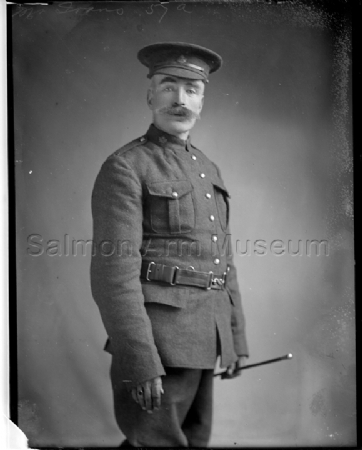 Portrait of John Ivens in military uniform. 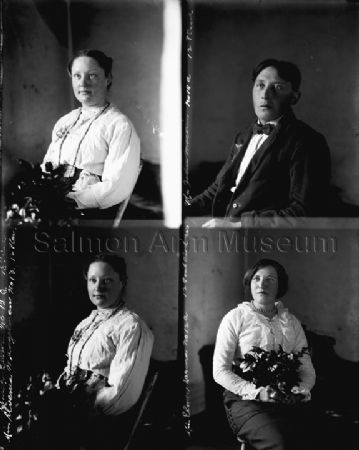 Four portrait images of John Mackie, Elvenia Manglemans and Miss Elmer Karms (?). 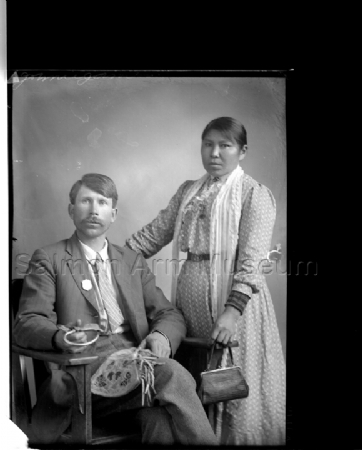 Native Constable Johhnie James and his wife Jennie. 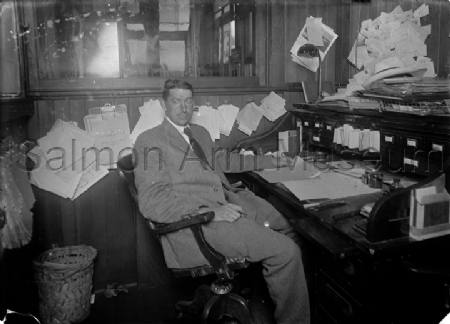 A rare shot. Leave taking of the BC Horse. 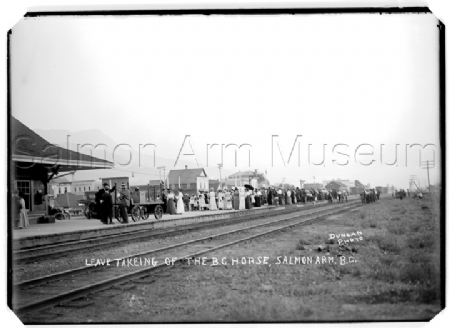 People gathered at the train platform; buildings on Front Street are visible in the background. 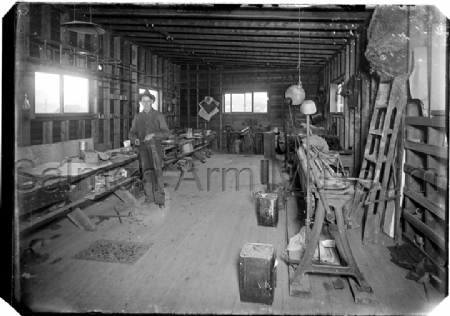 1913-1915. 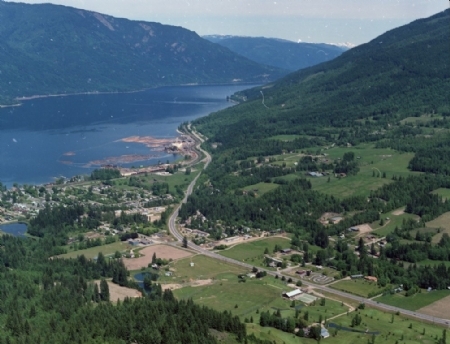 Aerial view of Canoe, BC along the Trans Canada Highway. 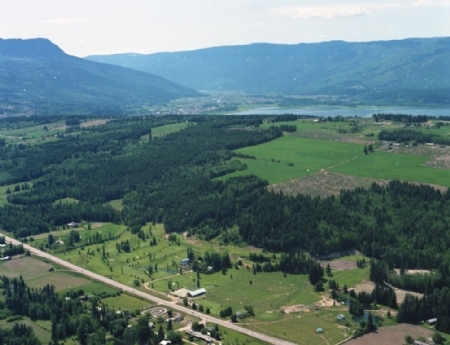 Salmon Arm landscape, view of the Salmon Arm of Shuswap Lake.